You know what cats say: “Dogs drool and cats rule.” Drooling is far from the prettiest sight, but most of the time, in dogs, particularly certain breeds, it’s perfectly normal. However excessive hypersalivation (drooling) in horses can be a symptom of a serious condition. Horses have 3 pairs of salivary glands – parotid, sublingual and mandibular. They produce about 10 gallons of saliva daily. Saliva moistens food and sends it from the mouth to the esophagus and then into the stomach. Saliva is mainly water but also contains sodium, chloride, sodium bicarbonate and amylase (an enzyme). There are several reasons for hypersalivation in horses. Rabies for which there is no cure. 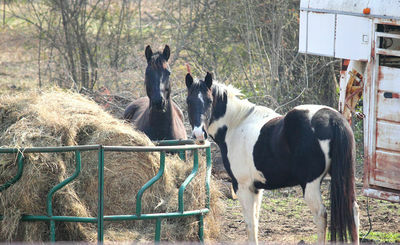 Horses can contract rabies by being bitten by an infected animal. Rabies can be prevented through vaccination. EVA (equine viral arteritis) which causes abortion and death in young foals. Stallions can be carriers. At present there is no specific treatment for EVA. Borna Disease Virus, similar to rabies, affecting the nervous system, back of the mouth and nasal passages causing drooling. Toxic substances such as the fungus growing on clover, insecticides, organophosphates which are used for parasitic infections. 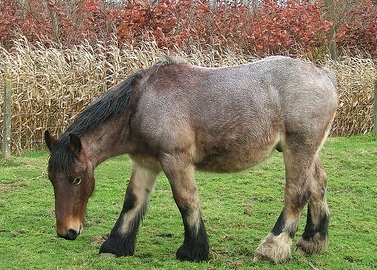 Equine grass sickness which is of unknown origin but is a toxin suspected in pasture grass. Choke, an obstruction in the esophagus which doesn’t allow food to pass into the stomach. Gastric tumors such as squamous cell carcinoma. 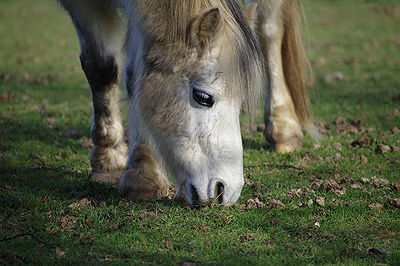 Liver disease, although rare in horses, can cause hypersalivation. Despite all these possible causes, hypersalivation in horses is rare and most can be treated. It is important to have your horse vaccinated against rabies according to your veterinarian’s guidelines to prevent this fatal zoonotic disease from affecting you. If you think your horse is drooling excessively, don’t hesitate, call your vet in to examine the horse.